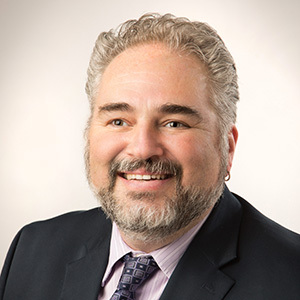 Wisconsin Bike Fed Executive Director Dave Schlabowske and CEOs of Tomorrow Founder and CEO Roxie Hentz are among the 22 Community Impact Grant recipients. In December 2018, Madison Community Foundation awarded $813,000 in Community Impact grants to 22 nonprofits and the residents and communities they serve. The grants provide support for race equity and academic achievement, STEM learning and entrepreneurship, reading and literacy, nonprofit mergers, arts, environment, and more. Community Impact grants address needs and opportunities in five focus areas: learning, community development, arts and culture, environment, and organizational capacity building. $27,000 to launch “The 100 Scholars Process,” a support network of educators, tutors, corporate, adult and peer mentors, and the dedicated membership of 100 Black Men of Madison, for students who have demonstrated or are capable of high achievement in academic, leadership, and creativity. $20,000 for the merger of Arts + Literature Laboratory and Greater Madison Jazz Consortium. $15,000 to build the capacity of Madison’s first professional regional musical theater company. $21,000 to grow the “These Teens Mean Busines$” internship program through partnerships with local entrepreneurs. $10,000 to support students of color as they prepare for, apply to, and enroll in a historically black college or university. $25,000 to expand its successful tutoring program to Goodman Community Center. $10,000 to support the merger of Community GroundWorks and Center for Resilient Cities. $90,000 (3-year, $30,000 grant) for the Big Share, an online giving day that raises money for Community Shares and its 70 member nonprofits. 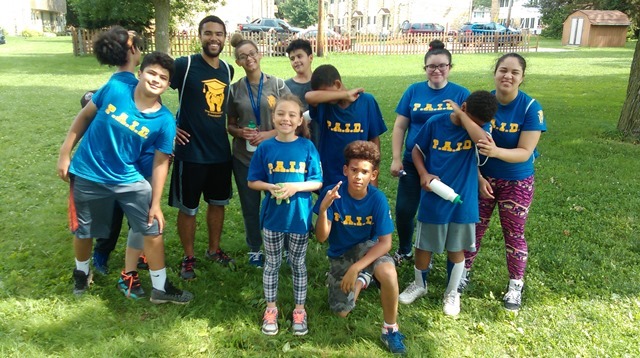 $25,000 to build capacity in three after-school learning centers that help reduce gaps in opportunity and achievement in communities of color. $50,000 to build the capacity to annually collect, refurbish, and donate 2,000 free bikes to children and families. $15,000 for an innovative vocational training program to prepare people with Down syndrome for employment and independence. $100,000 to Goodman Community Center’s building and expansion project to reduce over-crowding and serve more residents. $19,000 to partner with Community GroundWorks to create land security for Hmong farmers at Westport Community Farm. 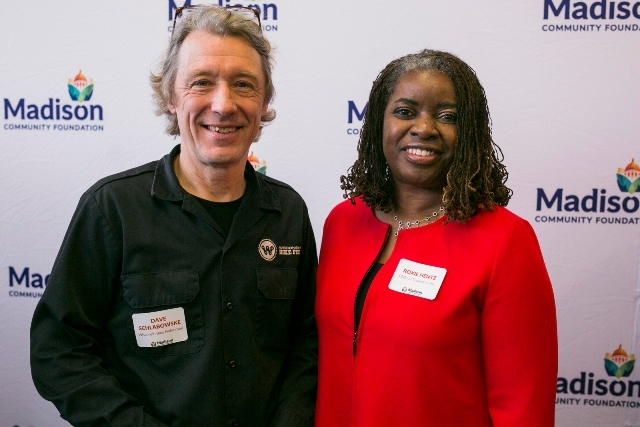 $75,000 (3-year, $25,000) for a partnership with the new Madison College on the south side to increase English language skills for low-income, adult immigrants and connect them to opportunities for high school completion, career advising, and workforce training. $30,000 to improve and enhance the Rooftop Ramble, adding accessibility features for people with disabilities, and create an interactive exhibit on renewable energy. $50,000 for the new building and performance space to increase capacity for teaching and performing circus arts, as well as fostering arts entrepreneurship. $25,000 to launch the Readmobile with Dane County Library Service for use in five under-resourced neighborhoods. $50,000 to purchase The Book Reading Bus to deliver books and educational materials to low-income neighborhoods, community centers, shelters, libraries, and festivals throughout Dane County. $46,000 to expand the STEM Immersion Camp and mentoring program to prepare girls and youth of color for education and careers in computer science and technology. $30,000 for a 2:1 matching campaign to grow the endowment fund at Madison Community Foundation. $50,000 will support a campaign to expand its footprint and provide more social services, including increased food pantry and product distribution and improved safety and accessibility for volunteers. $30,000 for the JUST Bikes equity initiative that builds bike repair stations in low-income neighborhoods, conducts safety and bike repair classes, and offers bike internship and employment programs. 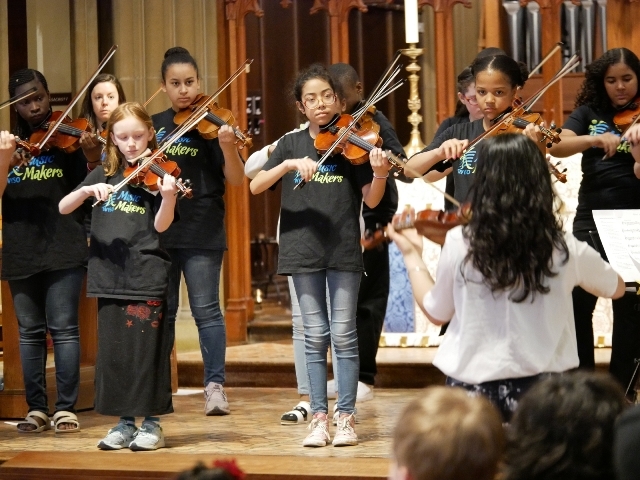 The Music Makers program creates opportunities for more children to participate in Wisconsin Youth Symphony Orchestra. In addition to 12 Anniversary Grants awarded through May 2018, MCF awarded 21 Community Impact grants in 2017 that grow and sustain the important work of nonprofits throughout Dane County. Community Impact grants are made possible by donors who support the Community Impact Fund, MCF's competitive grantmaking program. 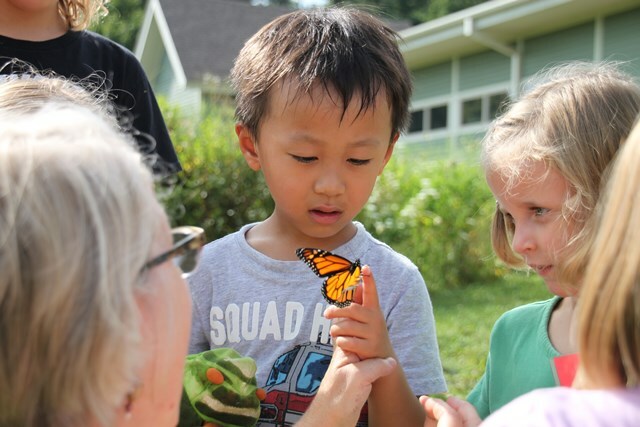 Aldo Leopold Nature Center is a community treasure and wonderland for children of all ages. 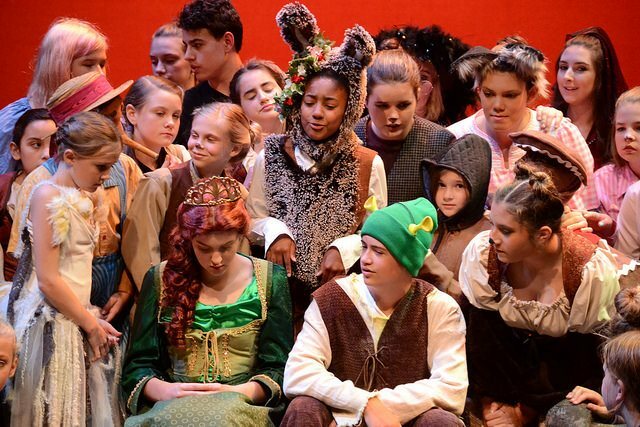 CTM's Summer Stage program is designed to serve all children in our community, inspiring creativity and confidence. 1:2 challenge grant of $35,000 to help the Friends of the McFarland Library and the Library Board of Trustees establish an endowment fund and help leverage an additional $70,000 in funding. 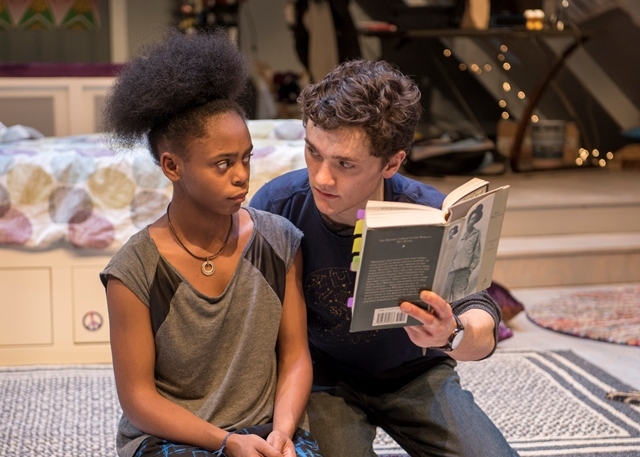 Forward Theater's production of "I and You" featured talented young artists Chantae Miller and Alistair Sewell. Photo by Zane Williams. 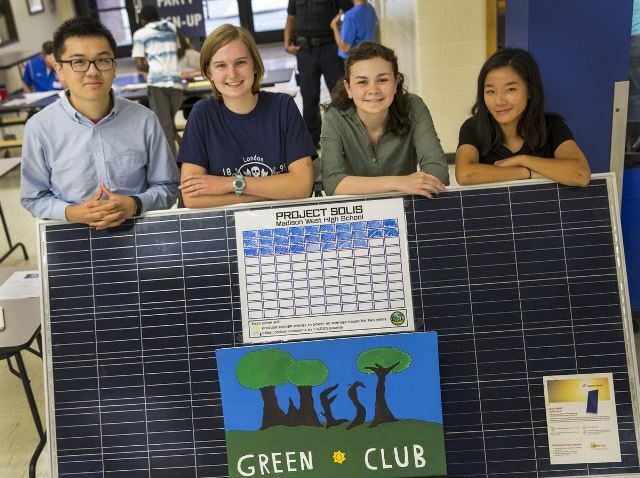 With Project Solis, West High Green Club and the Madison school district plan to integrate solar energy use into the school’s science curriculum, using computer-based monitoring and student research. $25,000 to support a key component of SSFP’s 25th year of writing, publishing, and sparking academic success. The Science of Wisconsin’s Environment will be featured in a new youth publication to help other groups adopt Free Press extended-day models. The Mellowhood Foundation and its founder Coach Assad combine heart, discipline and ingenuity to work with kids and their families in the Meadowood area.